From the Asah bathroom spotlights range. 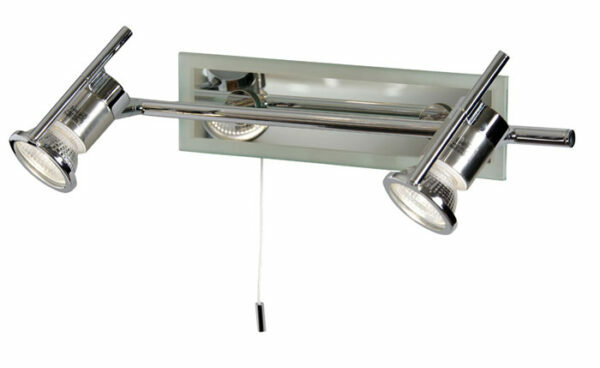 Polished chrome finish 2 light switched wall spotlight bar, with mirror chrome backplate, glass trim and 2 fully adjustable spotlights. Rated IP44, suitable for bathroom light zones 1 and 2. Many bathrooms have no windows which make wall lights such a great alternative and we have many options of wall lights to choose from here. Who ever said bathroom lighting needs to be boring?